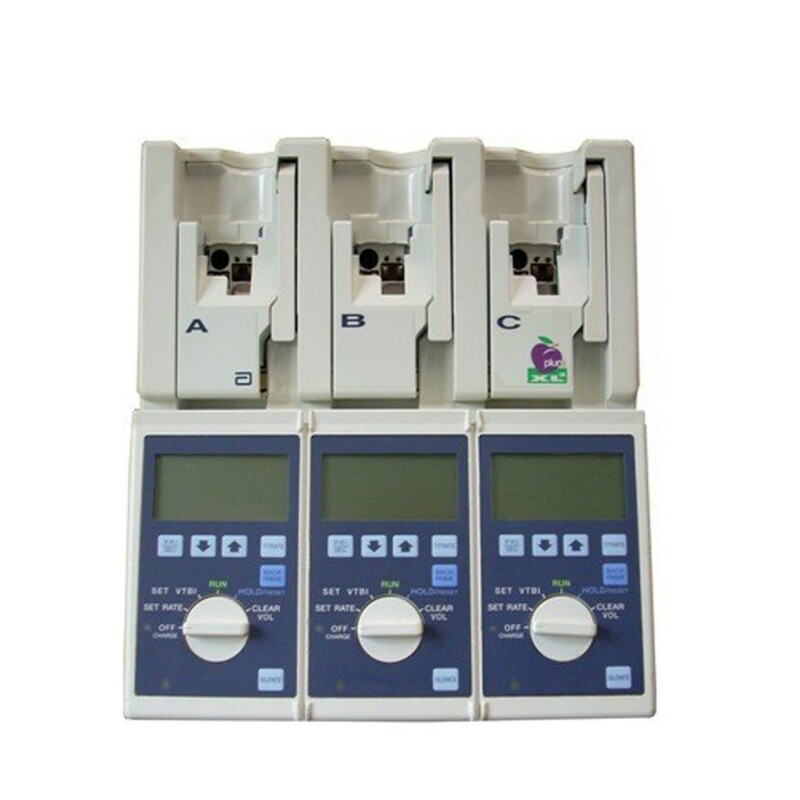 Buy or rent pre-owned, recertified Plum XL3 Multi-line Infusion Pumps you need today. All pre-owned medical equipment is patient ready equipment and is covered by an OEM matched warranty. A fully charged new battery will provide approximately 8 hours of operation at 125 mL/hr or 1000mL volume delivered, whichever occurs first. The battery charges whenever the infusion system is connected to AC power. If the device is turned to OFF CHARGE, recharge takes approximately eight hours. Recharge takes longer if the device is turned on.